Why Pick Google+ for the Name? Branding: Everybody’s heard of Google so when people started talking about a new social network, nobody would have to explain that it’s run by Google. They knew that if the name included “Google” it would take off like a wild-fire. They couldn’t come up with a more clever way to communicate that they think of Google+ as an augmentation of all their services. The big problem with the name is the way Google handles the “+” symbol as you can see in the screenshot below. 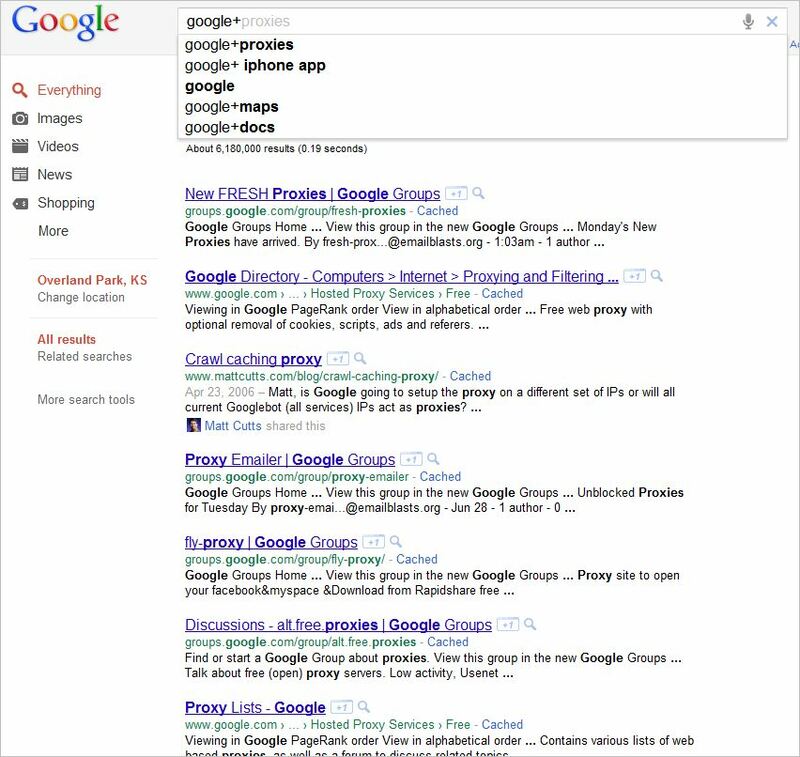 The results Google presents for a search on Google+ in Google Instant. You can see that it's completely unrelated to their social network. Even Google's search suggest is irrelevant. Once you hit enter it's fixed though. The set of results completely changes to Google+ results once you hit enter, but not until then. I find it quite entertaining to see how Google Instant and Google Search Suggest is handling this query. Instant serves up results for proxies and Search Suggest serves up queries with the + modifier. Once you hit enter Google sorts it all out and displays actual Google+ results. However, anyone who has been trained by Google to look at the instant results and choose from them before hitting enter would be completely confused. This theory can be supported by Google Insights when you examine trends for Google+ and Google Plus. 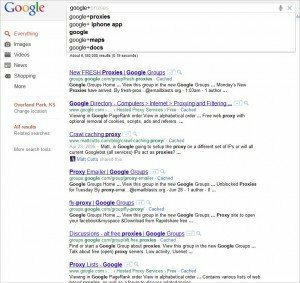 Check it out here: Google Insights for Search: “Google+” v. “Google Plus” The phrase “Google plus” is almost as popular as “Google+” showing that there is some confusion about how to search for it. I find it interesting that he describes the Google+ project as a broad-reaching project that will impact GOOGLE then goes on to say they chose to name it using the smallest modifier that they could imagine. It that a “the last shall be first” thing? I don’t think that any confusion about Google+’s name will impact the popularity of the site. As far as branding goes, it’s a great name. It’ll be interesting to see if Google changes Search Suggest and Instant so it include results for their service.